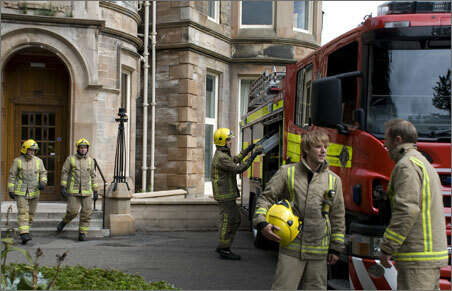 Previous Fire Safety legislation in Scotland has been replaced by the Fire (Scotland) Act 2005 and by regulations made under that Act, (The Fire Safety (Scotland) Regulations 2006). In general, the legislation seeks to ensure the safety, in the event of fire, of persons whether they are employees, residents, visitors or others by setting out the right s and responsibilities of persons in respect of Fire Safety. This means that anyone who has a degree of control of the premises has some responsibility to ensure that those occupying the premises are safe from any potential harm that could be caused by fire. To this end, this means that employers and to a certain extent employees have responsibilities under the new legislation. ��Carry out and review regularly a fire safety risk assessment. ��Provide appropriate, clear information and training to your employees. ��Provide appropriate means for raising the alarm, means of fighting fire and adequate means of escape. ��Take care to ensure the workplace is safe from harm caused by fire. ��Inform your employer of anything, which could represent a serious and immediate fire safety danger. ��Co-operate with your employer to allow them to comply with their fire safety responsibilities. Who enforces the new Legislation? In the majority of cases, the local Fire and Rescue Service will enforce the regime on behalf of the Fire and Rescue Authority for the area. ��All maintenance records where applicable attaining to fire safety. Eg, Automatic Smoke/Heat Detection Systems, Emergency Lighting, Compartmentation/ separation, Automatic Closing Doors, Portable extinguishers, fixed firefighting systems etc.